The easy way is always twisted. 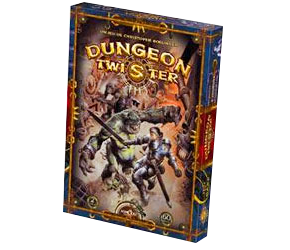 An interesting and slightly unwieldy blend of dungeon bash and thinking strategy game, Dungeon Twister doesn’t quite seem to know what kind of game it wants to be. Still, it’s entertaining and has spawned several expansion sets that are slowly being released in English. The board artwork is a little too obviously ‘Photoshoppy’ for my liking.